Cape Town (15 September 2017) – The Zeitz Museum of Contemporary Art Africa (Zeitz MOCAA) announces the inaugural exhibitions for the new cultural institution, opening to the public on Friday, 22 September 2017. 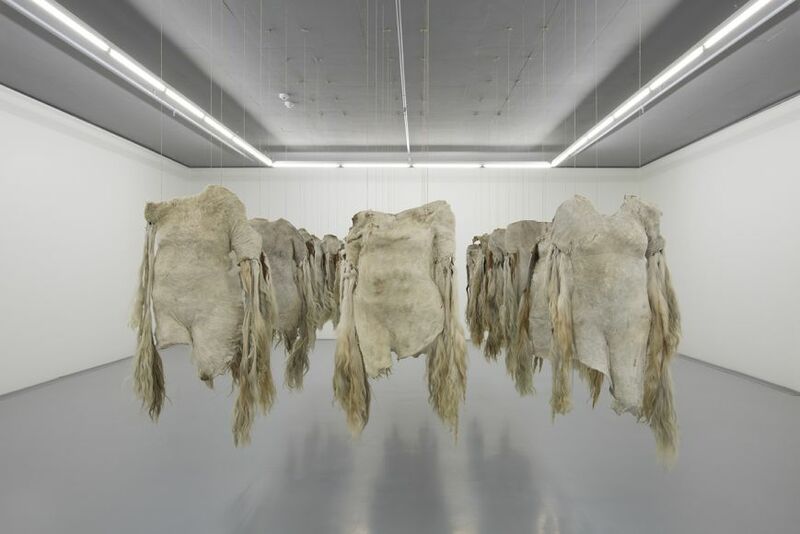 Spanning more than 100 galleries and utilising 6,500 square metres of exhibition space, Zeitz MOCAA’s opening programme will feature works from both the Zeitz Collection and the Zeitz MOCAA permanent collection. Zeitz MOCAA co-founder and co-chairman Jochen Zeitz says: “I built my collection with a museum in Africa always in mind––the fact that these works will now be accessible to all is a very emotional thing for me personally and, ultimately, gives the art true purpose”. The inaugural exhibitions will utilise all of the 100 gallery spaces across seven floors of the museum, spanning some 6,500 square metres. Zeitz MOCAA will be open Wednesday to Monday from 10 am to 6 pm. Under-18s will have free entry to the museum all year round while citizens of African countries will have free access on Wednesdays, from 10 a.m. to 1 p.m.
For the full list and more information on the inaugural exhibitions, please download the PDF below. Zeitz Museum of Contemporary Art Africa (Zeitz MOCAA) is a public not-for-profit contemporary art museum that collects, preserves, researches and exhibits 21st-century art from Africa and its Diaspora; hosts international exhibitions; develops supporting educational and enrichment programmes; encourages intercultural understanding; and guarantees access for all. It is the first major museum in Africa dedicated to contemporary art and was established in 2013 through a partnership between the V&A Waterfront led by CEO David Green––acting on behalf of Growthpoint Properties Limited and the Government Employees Pension Fund, represented by the Public Investment Corporation Limited (PIC)––and collector Jochen Zeitz. The building was reimagined through a design by the acclaimed London-based Heatherwick Studio and the museum will open in the transformed heritage-listed grain silo complex at the Silo District, V&A Waterfront. Mark Coetzee serves as the Executive Director and Chief Curator. The Zeitz MOCAA board consists of David Green and Jochen Zeitz (Co-chairs), Isaac Julien and Wangechi Mutu (Artist Board Members), Suzanne Ackerman, Jody Allen, Jonathan Bloch, Kate Garwood, Pulane Kingston, Gasant Orrie, Albie Sachs, Anton Taljaard, Roger Ross Williams and Mark Coetzee (Ex Officio).